Our control panel is built with simplicity in mind. Editing your server to be exactly how you want it has never been easier. Our support are here around the clock to be at your disposal for trouble shooting or advice. Test out our support by sending us an email. We invest heavily in our owned machines. The most up to date CPU, Memory and SSD hard disks so that your server runs as smooth as possible. 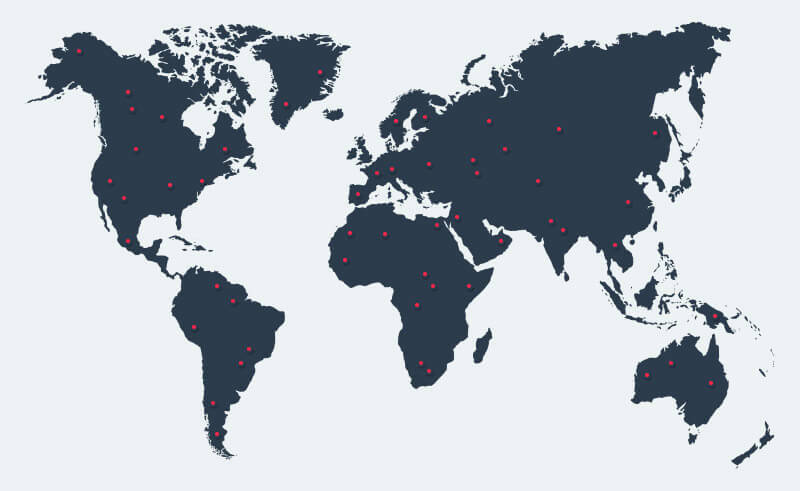 We have servers in every major population center in the world. If you want us to add a new location simply ask and we can look into it. All of our data centers are carefully chosen. We look for reliability, connectivity and fast support should anything ever go wrong. Worldwide locations London UK, Paris France, New York USA, Dallas, LA, Sydney Australia, Stockholm Sweden, Montreal Canada. We have many machines in many data centers around the world. Serving our game server customers with unparalleled redundancy and power. Our game hosting is spread out through the entire globe. Here is a live game server count. We have the required experience to deploy new games and templates as soon as a game is released. Nearly 6 years in the industry and still going strong.